The event not only commemorates Nobel Laureate, Dr Robert Koch’s discovery of Mycobacterium tuberculosis, the TB-causing bacteria, but educates the public on the massive burden caused by TB globally and calls on governments, civil society organizations, communities and others to step up efforts to jointly end TB. The global Stop TB Partnership selected “It’s TIME” as the theme for this year’s World TB day - time to end TB. The representatives also committed to the initiative “Find. Treat. All. #EndTB” launched by the World Health Organization (WHO), The Global Fund to Fight AIDS, Tuberculosis and Malaria and the Stop TB Partnership. This joint initiative aims to accelerate the TB response and ensure access to care as part of the endeavour for Universal Health Coverage and, in line with the Sustainable Development Goals, ensure that no one is left behind. It’s TIME – this year’s theme, linking tuberculosis and time, is also interesting from other angles. The disease tuberculosis has been around for a long time – likely as long as mankind – time in which the pathogen has become well adapted to its host. Furthermore, the TB-causing bacteria Mycobacterium tuberculosis take their time to replicate, they are among the slow-growing bacteria, which is not good news since it takes weeks to culture them in the laboratory and prove their presence. Also, the disease takes its time to develop, which makes it difficult to trace back and interrupt chains of transmission. People often take their time before seeking help, be it from a lack of awareness or a lack of access to high-quality care. The medical professionals may take their time to reach the conclusion that their patient has TB and begin testing. Testing itself, even when using tests that give results quicker than growing the bacteria, takes time; as can returning the results to doctors and then patients to begin treatment. And finally, treatment requires time, at least six months of antibiotic combination therapy. 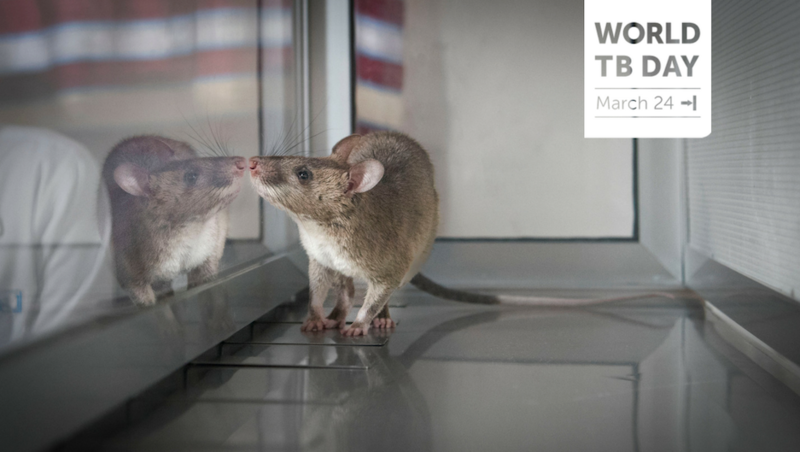 APOPO researches TB detection rats which are are incredibly fast: one rat can screen 100 samples in just 20 minutes. We use our rapid rats as a “failsafe” – re-evaluating human sputum samples delivered from partner clinics. A sample indicated positive by a rat undergoes confirmation testing with internationally approved tests before the result is returned to the clinic. This approach helps to increase TB case detection by about 40%. Our other activities in the field are also very much centred around speeding things up: our motorbike sample referral systems in Dar es Salaam, Maputo and Addis Ababa, our rapid testing and result turnaround within 24 hours and prompt action to make sure newly diagnosed patients get on with their TB treatment immediately. Beyond that, a new study has started to find out whether our TB detection rats can identify TB earlier than conventional methods. We concur it’s all about TIME and high TIME for better tools, better access, and for a world without TB! APOPO thanks the health authorities as well as our funding partners across the countries in which it works for their continued support.